Lenovo's ZUK smartphone brand got off to a great start in China when the recently announced Z1 managed over 2 million pre-orders in a week, but surprisingly, they aren't stopping in China. 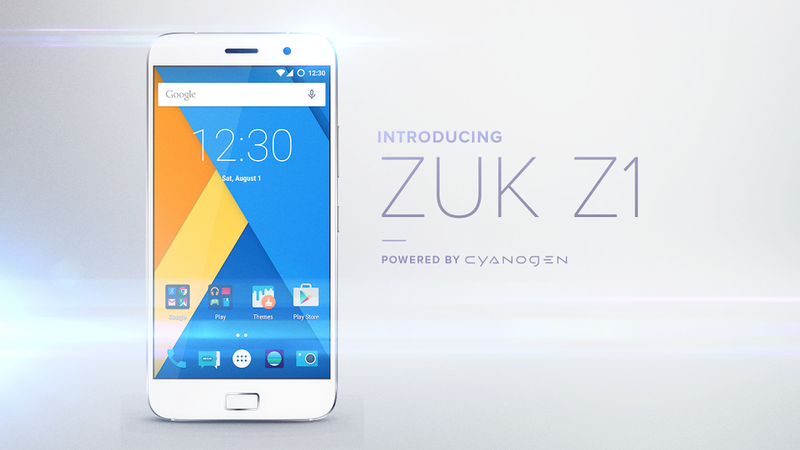 An international version of the Z1 is planned, and it's going to run Cyanogen OS (lens flair optional). The ZUK Z1 doesn't quite have the specs to match a 2015 flagship phone, but it's not bad. There's a Snapdragon 801, 3GB of RAM, and a 5.5-inch 1080p LCD. A 13MP camera lurks around back, and the battery is a whopping 4100mAh. That's also a fingerprint sensor on the front. One thing it does have that more expensive phones don't is a USB 3.0 Type-C port on the bottom. This device will have Cyanogen OS 12.1 when it ships in October. The Chinese version of the phone sells for 1,799 yuan (about $280), but the international version will probably be a little pricier. It's also not clear what "international" constitutes. North America? Hopefully.